DDP Network > About DDP > What is meant by PACE? Playfulness, acceptance, curiosity and empathy. PACE is a way of thinking, feeling, communicating and behaving that aims to make the child feel safe. It is based upon how parents connect with their very young infants. As with young toddlers, with safety the child can begin to explore. 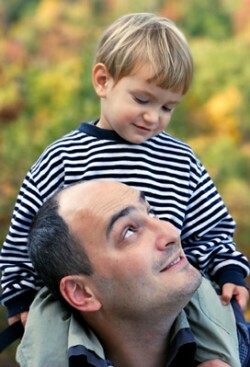 With PACE, the troubled child can start to look at himself and let others start to see him, or get closer emotionally. He can start to trust. This is about creating an atmosphere of lightness and interest when you communicate. It means learning how to use a light tone with your voice, like you might use when story telling, rather than an irritated or lecturing tone. It’s about having fun, and expressing a sense of joy. It is similar to parent-infant interactions when both parent and infant are delighting in being with each other and getting to know each other. Both are feeling safe and relaxed. Neither feels judged nor criticised. Playful moments reassure both that their conflicts and separations are temporary and will never harm the strength of their relationship. Having a playful stance isn’t about being funny all the time or making jokes when a child is sad. It’s about helping children be more open to and experience what is positive in their life, one step at a time. Sometimes a troubled child has given up on the idea of having good times and doesn’t want to experience and share fun or enjoyment. Some children don’t like affection or reject hugs. A playful stance can allow closeness but without the scary parts. When children find it hard to regulate their feelings, anger can become rage, fear, terror, and sadness, despair. If this is the case, then children may also find it hard to regulate feelings of excitement, joy and love. Feeling these emotions can sometimes turns to anxiety. Playfulness allows children to cope with positive feelings. It also gives hope. If you can help the child discover his own emerging sense of humour, this can help him wonder a little more about his life and how come he behaves in the ways that he does. When children laugh and giggle, they become less defensive or withdrawn and more reflective. A playful stance adds elements of fun and enjoyment in day-to-day life and can also diffuse a difficult or tense situation. The child is less likely to respond with anger and defensiveness when the parent has a touch of playfulness in his or her discipline. While such a response would not be appropriate at the time of major misbehavior, when applied to minor behaviours, playfulness can help keep it all in perspective. Unconditional acceptance is at the core of the child’s sense of safety. Acceptance is about actively communicating to the child that you accept the wishes, feelings, thoughts, urges, motives and perceptions that are underneath the outward behaviour. It is about accepting, without judgment or evaluation, her inner life. The child’s inner life simply is; it is not right or wrong. Accepting the child’s intentions does not imply accepting behavior, which may be hurtful or harmful to another person or to self. The parent may be very firm in limiting behavior while at the same time accepting the motives for the behaviour. One hopes that the child learns that while behavior may be criticised and limited, this is not the same as criticising the child’s self. The child then becomes more confident that conflict and discipline involves behavior, not the relationship with parents nor her self-worth. Curiosity is the foundation of acceptance of whatever underlies the behaviour. Making sense of how the child has learnt to behave in certain ways can help with acceptance. Curiosity, without judgment, is how we help children become aware of their inner life, reflect upon the reasons for their behaviour, and then communicate it to their parents or therapist. Curiosity is wondering about the meaning behind the behaviour for the child. Curiosity lets the child know that the adults understand. Children often know that their behavior was not appropriate. They often do not know why they did it or are reluctant to tell adults why. With curiosity the adults are conveying their intention to simply understand why and to help the child with understanding. The adult’s intentions are to truly understand and help the child, not to lecture or convey that the child’s inner life is wrong in some way. You say this without anticipating an answer or response from a child. This is different from asking the child, “Why did you do that?” with the expectation of a reply. It is not interpretation or fact gathering. It’s just about getting to know the child and letting her know that. Curiosity must be communicated without annoyance about the behaviour. Being curious can, for example, include an attitude of being sad rather than angry when the child makes a mistake. A light curious tone and stance can get through to a child in a way that anger cannot. You might make guesses about what a child may be thinking and feeling, saying this aloud, and keeping it connected to the present. It can be about having a conversation, almost with yourself, with the child in the room, without anticipating a response. If an adult can stay curious about why their child is behaving as they are, the child and adult are less likely to feel cross or frustrated. As curiosity is non-judgemental, this can help the child to be open to how she, and other people, are thinking and feeling. Curiosity lets the child stay open and engaged in conversations. Children then start to reflect upon their own inner life with their parent and therapist and start to understand themselves. As the understanding deepens, the child can discover that her behavior does not reflect something bad inside her, but rather a thought, feeling, perception, or motive that was stressful, frightening, or confusing and could only be expressed through her behavior. As the child communicates this to the adults, the need for the behaviour may reduce, and with that the behaviour itself. The child’s feelings about the behaviour may change, with less defensiveness and shame but more guilt, leading to less of the behaviour. Empathy lets the child feel the adult’s compassion for her. Being empathic means the adult actively showing the child that the child’s inner life is important to the adult and he or she wants to be with the child in her hard times. With empathy, when the child is sad or in distress the adult is feeling the sadness and distress with her and lets the child know that. The adult is demonstrating that he or she knows how difficult an experience is for the child. The adult is telling the child that she will not have to deal with the distress alone. The adult will stay with the child emotionally, providing comfort and support, and will not abandon her when she needs the adult the most. The adult is also communicating strength, love and commitment, with confidence that sharing the child’s distress will not be too much. Together they will get through it. PACE focuses on the whole child, not simply the behavior. It helps children be more secure with the adults and reflect upon themselves, their thoughts, feelings and behaviour, building the skills that are so necessary for maintaining a successful and satisfying life. The child discovers that they are doing the best that they can, and are not bad or lazy or selfish. Problems diminish as the need for them reduces. Through PACE and feeling safer, children discover that they can now do better. They learn to rely on adults, particularly their parents, and trust them to truly know them. They learn that their parents can look after them in a way that they could never do on their own. When children experience the adults doing the best they can to understand them and trying to work out together more effective ways for the child to understand, make sense of and manage their emotions, thoughts and behaviour they start to believe that the adults really will keep on trying until things get better for all of them. For adults, using PACE most of the time, they can reduce the level of conflict, defensiveness and withdrawal that tends to be ever present in the lives of troubled children. Using PACE enables the adult to see the strengths and positive features that lie underneath more negative and challenging behaviour.